Each Mountain High Maps. Frontiers highly detailed EPS vector outline map willload instantly into any of the leading graphics applicationswhere Illustrator users will find that the vast number of selectable andeditable layers will greatly enhance their map customization andproductivity. MOUNTAIN HIGH MAP FRONTIERS are a collection of the highest quality editable EPSvector maps covering the world's continents, countries, regional areas as wellas several world maps. These individual EPS maps can be easily and quicklyloaded into most desktop design, publishing, presentation, draw, paint, or imageediting program for the highest quality geographical representation of any partof the world. Applications such as Adobe Illustrator, Macromedia FreeHand orCorelDraw can edit line styles, width and color and customize map appearances ina multitude of ways or the map can be imported directly into page layout orpresentation applications such Quark Xpress or Adobe PageMaker. 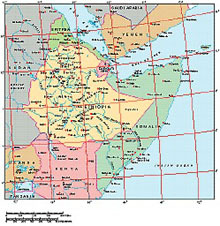 The coverage of the Mountain High Maps Frontiers map series can be viewed on theweb by continent. Itfeatures 16 America maps, 8 Africa maps, 17 Asia and Australasia maps, 23 Europemaps, 6 World and Oceanic maps, and 8 Polar maps. MountainHigh Maps, Frontiers, USARelief, GlobeShots, EarthShots, CoolMaps, Earth-Imagesdigitized map imagesCopyright © 2001 Digital Wisdom, Inc.